After I decided to try out crochet braids, I realized I still had a lot of hair from when I took out some of my original box braids a few days after they were installed. So, basically, I could do this style with zero extra investment, outside of my time of course. One thing I changed from when I did my sister's crochet braids, was the braiding pattern. I felt the hair would lay more naturally if the braids in the back of my head were horizontal instead (pictured below). Although it's not quite as easy as the straight back braids, it was still pretty simple. I used a crochet hook this time - much easier than a hair pin! I found that you have to really pay attention to making sure the hook & latch are open/closed at the correct times so that it doesn't snag your hair. After crocheting a row or two in the back, I started getting into a system of my own. I figured out what amount of hair was best to use, twisted and wrapped it around my finger, then grabbed it with the hook once it was under the braid. Pretty easy process. Even though it wasn't heavy at all, it was definitely way too much hair for me. I cut it into a few layers - the longest one coming somewhere around the middle of my back. I wasn't really planning on wearing it out anyway. The thickness was unreal! It worked well with the styles I planned on wearing with it, like the one pictured at the top of this post. 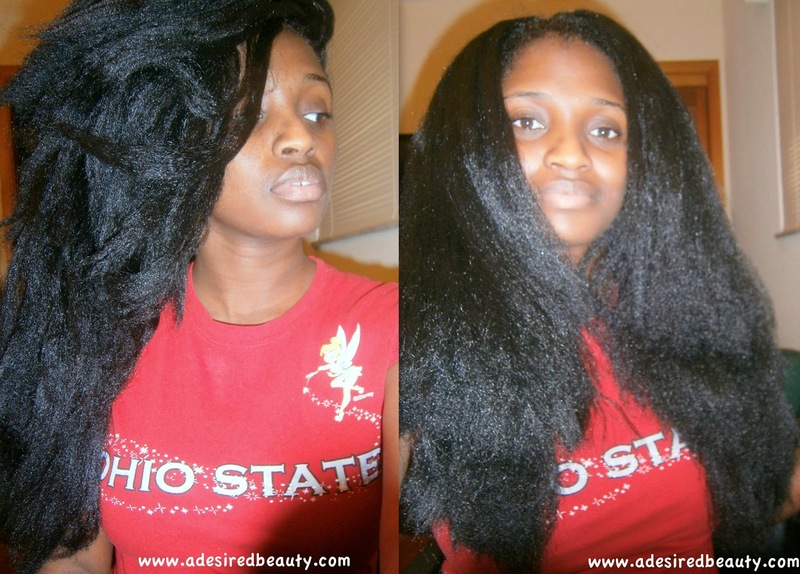 I don't know what I would do with myself if my hair was this long AND thick! Other than love it, of course. That's alot of hair, is it heavy? Yea I agree - it was a lot of hair. But surprisingly, no, it wasn't heavy at all. That's probably why I didn't realize how much hair was on my head until I was finishing up. how many packs of hair hiar did you use? Hi Sasha! I am not sure how many packs of hair this would equal. My guess would be around 4. I used the hair I had left over from taking out some of my box braids so that's why I don't know for sure. Sorry I can't be more specific! Hi Melanie. 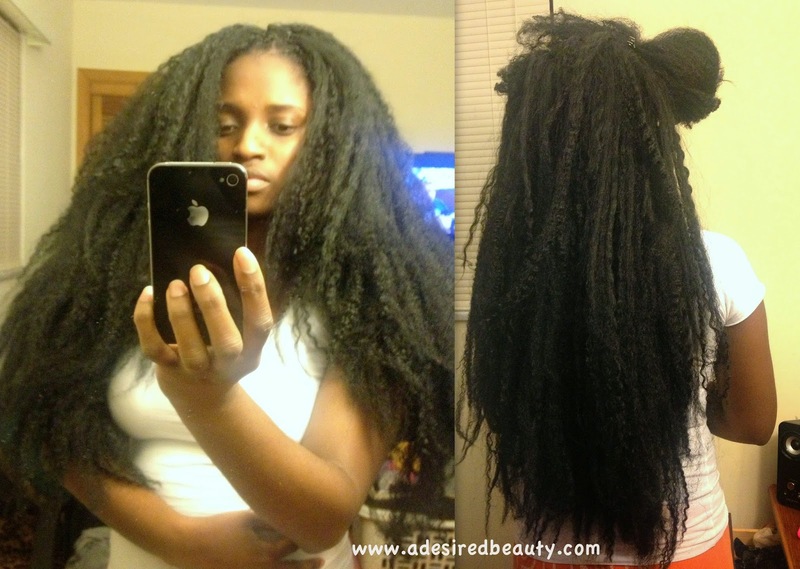 Do you wash your hair when wearing crochet braids? How long do you keep it in? Hi when you cornrow your hair how do you secure the ends? I have BSL hair and wondering how would i keep my hair length in one place before applying the braids? 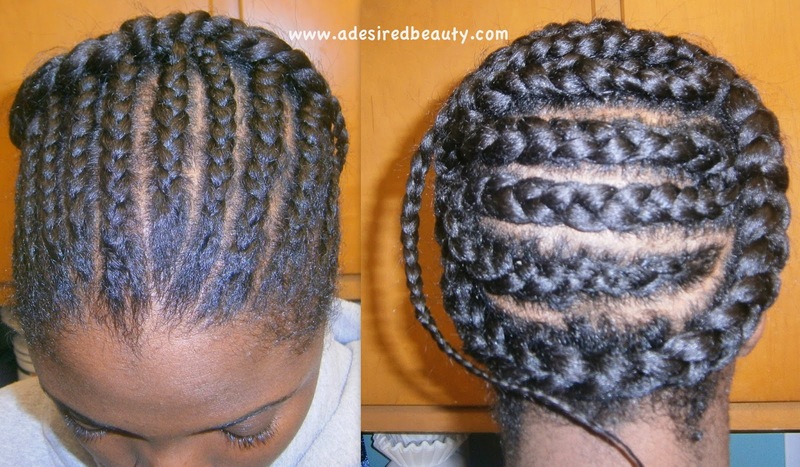 I really want to try crotchet braids.